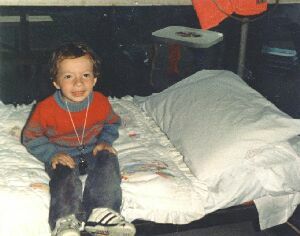 This is Jimmy at four and a half, the very first time he went camping. This picture was taken at Camp Dearborn in Milford, Michigan. I remember buying Jimmy his very own camper's whistle, which he liked to use -- a lot!